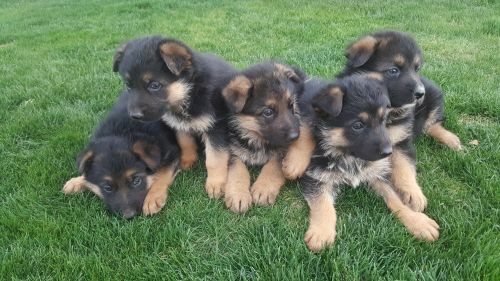 German Shepherd is originated from Germany but Aidi is originated from Morocco. German Shepherd may grow 6 cm / 3 inches higher than Aidi. German Shepherd may weigh 19 kg / 42 pounds more than Aidi. Both German Shepherd and Aidi has almost same life span. German Shepherd may have more litter size than Aidi. 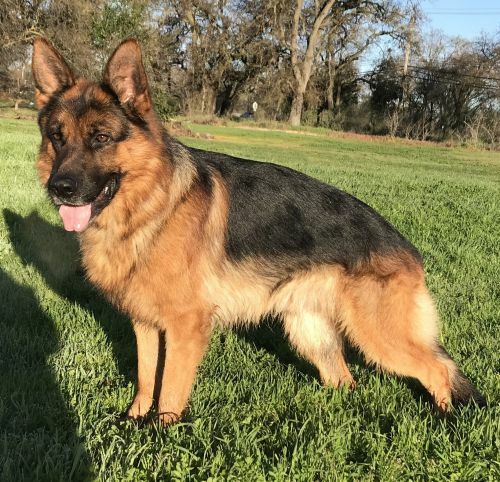 Both German Shepherd and Aidi requires Low Maintenance. In 1882 german shepherd was introduced in a show at Hanover. They were created by the cross breeding of the rural sheep dogs by a man named Max. In 1906 they were first exported to America. After that the breed became very popular in UK. The GSD is very good for being a watchdog and hence it do not welcome guests to home. But when trained from a puppy it will suit itself for making new friends. GSD like to be always with somebody and they can be its master or his family members or else its partner. 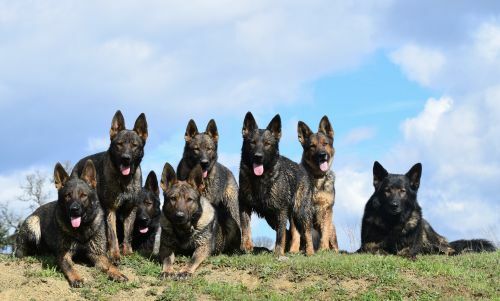 The GSD is very intelligent and active hence they should be always kept busy, exercised and playing. Nowadays many of them are trained well and made as four legged stars. When we see all around the world many of them are involved in helping the physically challenged people. Also they are very important personnels in working with police and military for finding the criminals. Their excellent sniffing power works very good when given proper training for finding illegal smuggling. But basically the breed was set in to herd the sheep and protect them from predators. Based on the popularity they are ranked 2nd in US and 4th in UK. The GSD has the chances for getting orthopaedic diseases such as hip dysplasia and elbow dysplasia. 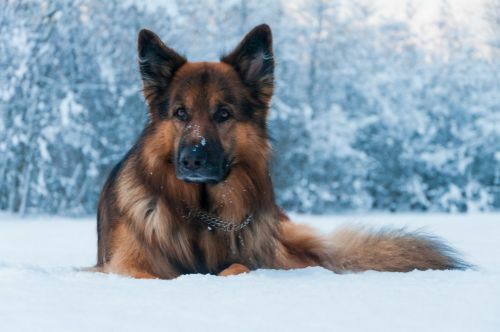 Other common orthopaedic problems which affects GSD are Panosteitis, Osteochondritis and cruciate ligament rupture.They also get some skin problems such as allergies and pyoderma. Digestive problems such as chronic diarrhea and colitis are also seen in GSD. GSD is a continuous shedder. They are having a two layer coat. They should be brushed daily as it will remove the dead fur and thus prevents shedding. The GSD should be given an cool environment which they will enjoy a lot. 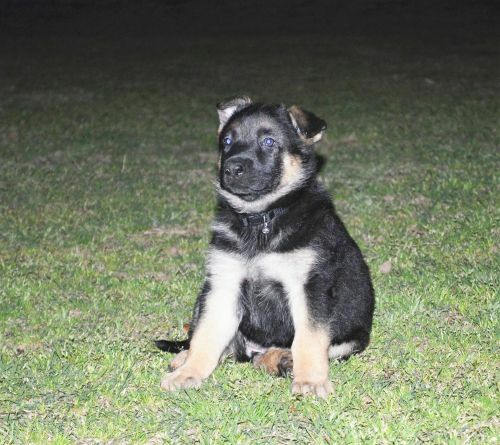 The GSD puppy should be fed small quantities of food but several times per day as it needs to gain 2 gms weight per day. The preferred food for them is dry food along with raw liver pieces which would provide them excellent energy. The protein food given to puppy should contain 25 to 30% calories. Puppies consume more food when compared with adults. The GSD needs a food which has a considerable amount of protein. They are carnivores in the nature. The protein can be given from cooked meat. The artificial food products will not be suitable for them. When are provided with protein food they will gain fat from itself. The recommended fat content for GSD is 5% to 8%. The GSD should be provided with a nutritional food for their good health. Physical exercises are very much needed for GSD since they are very energetic and power packed. It is highly recommended to make them play and run daily as they don't need to get bored. They can be made to climb in hilly areas as they want to explore their surroundings. They can be made to swim or play hide and seek and find the missing objects. Regular morning walk will be very good for them. The GSD is a very good child friendly dog, they love to play with kids. They adopts both hot and cold climates, but they like cold weather very much and also their body is suitable for cold than hot. The GSD has high ability to learn tricks and also they are interested in learning. As they have very high intelligence they learn very easily and quickly.